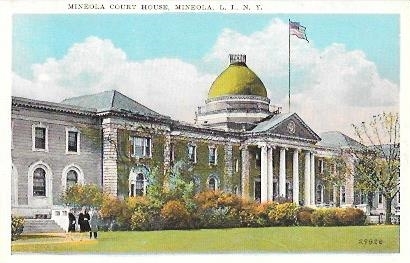 Pub. by Miller Art Co. Inc., Brooklyn, N.Y. Made in U.S.A.
Pub. 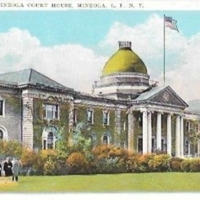 by Miller Art Co. Inc., Brooklyn, N.Y. Made in U.S.A., “Mineola Court House, Mineola, L.I., N.Y.,” Hofstra University Library Special Collections: Digital Collections, accessed April 18, 2019, https://omeka.hofstra.edu/items/show/2359.